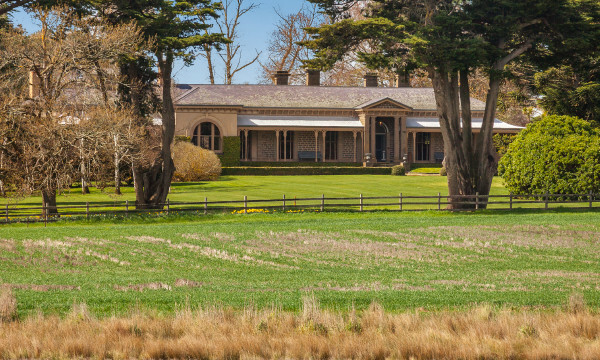 Mount Mitchell is a stunning historic homestead located within the world-renowned Pyrenees wine region of Victoria. The property Mount Mitchell established in 1838 captures early Victorian rural history. It’s beautiful gardens and significant homestead and outbuildings, provide many magnificent settings for exclusive events, such as weddings, corporate functions and product launches. Accommodation is also available for guests to immerse themselves in the Australian farm experience. Mount Mitchell is a working farm producing quality Pyrenees produce. 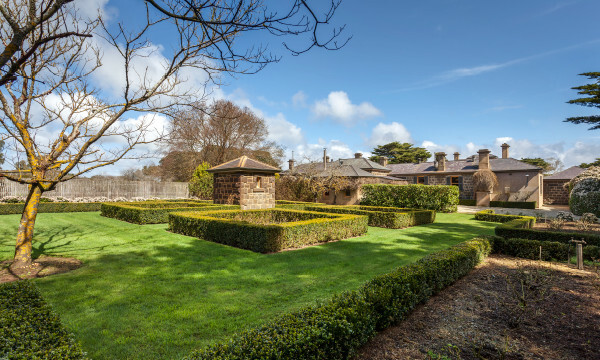 The Pyrenees district is less than two hours from Melbourne and only 58 kilometres out of Ballarat, making it easily accessible for an overnight or weekend country retreat. Perfect farm stay accommodation is available for couples, families and small groups on the Mount Mitchell Estate. International guests will be exposed to the magic of the Australian rural lifestyle. Guests can be involved in the day-to-day activities of Australian farming life alongside those who run the property. 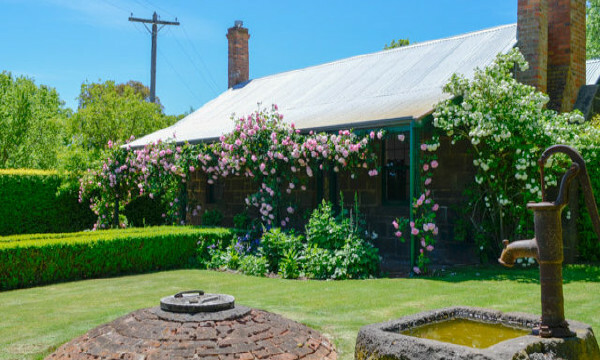 Visitors can collect fresh eggs from the resident hens, catch yabbies and fish from the Mount Mitchell lake and harvest fresh fruits, vegetables, herbs and more from the impressive kitchen garden and extensive orchard. Mount Mitchell’s significant historical buildings surrounded by 10 acres of formal gardens and sweeping views of the Pyrenees mountain ranges provide a magnificent setting for your special event. Its proximity to Melbourne and Ballarat makes Mount Mitchell one of the Pyrenees most exclusive wedding venues. These unique features and breathtaking vistas also make Mount Mitchell perfect for corporate functions, exclusive private parties, product launches and photo shoots. The property’s ideal rural location and acreage allows clients the scope to host major events such as festivals and field days. Mount Mitchell event managers will create a spectacular event for you. The possibilities for venue hire in the heart of the Pyrenees are endless! Mount Mitchell has three Pyrenees accommodation options, including Mount Mitchell Cottage, Mitchell House and the nearby Abode. Mitchell House is practically purpose-built for farm stays, family holidays and guest accommodation for up seven people and is perfect for those attending an event being hosted on the property. Mt Mitchell Cottage is a beautifully restored bluestone building in the grounds of Mt Mitchell homestead, providing exceptional accommodation. It is especially perfect for a romantic getaway, or accommodation for the bridal party before or after a spectacular country wedding. Abode is only 30 minutes away from the main homestead of Mount Mitchell and is a modern, architecturally designed, fully furnished home able to accommodate up to 10 guests in luxury, complete with outstanding expansive views of the Pyrenees mountain ranges. Please contact us at Mount Mitchell for all enquiries and bookings regarding our Pyrenees venue hire, events and accommodation.